Pedals power pharmacist to Paris! 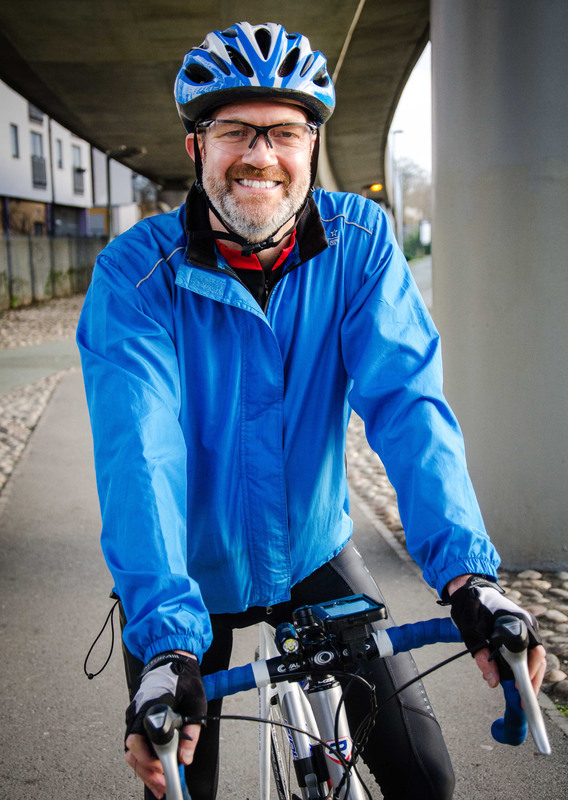 Trustee and cycle enthusiast Jonathan Mason is in the final stages of training for his London to Paris bike ride. He’s set himself the challenge of peddling 385km (240 miles) in 3 days – destination: the Arc de Triomphe! Here he talks to Marketing Manager Kate Westbrook about his preparation for the trip. What prompted you to take on a challenge for Pharmacist Support? Over the years, I have undertaken a number of events for a range of health charities, such as the London to Brighton bike ride for the British Heart Foundation. Last year, when I first started planning the London to Paris ride, I was going to ride just for fun, and then thought about riding for charity, and it struck me that, as a pharmacist, I should ride for Pharmacist Support. I’ve been an advocate of the charity, and the former Benevolent Fund, for years, and thought that they would be the ideal charity for me to support. How are you preparing for the ride? I’ve been using a turbo-trainer at home, and going for training rides. Over the forthcoming bank holiday weekend, I will be joining my sister and some of her friends for a ride along the route that is going to be used for the first stage of the Tour de France in Yorkshire – Leeds to Harrogate, via the Dales. We will be taking it fairly easy, about 60km per day, but the route includes 3 biggish climbs, including Buttertubs Pass, which is a category 3 climb – long and steep. This ride will be a good test of my legs for the London to Paris ride. How have you planned your route? Dinner and champagne in Paris, and a good night’s sleep! Anything else you’d like to say or share with readers about your challenge? I would encourage other pharmacists who are undertaking challenges, such as marathons, 10k runs, bike rides, etc. to think about supporting Pharmacist Support as their charity of choice. Pharmacist Support does such good work to support so many pharmacists and pharmacy students, and I believe that we should all try to give something to our own charity. You can spur Jonathan on by making a donation to the charity via his Justgiving fundraising page and helping him to help others in the profession who find themselves confronted by difficult circumstances.